After spending two days in Amritsar on our Pink Chai India trip, we took a 14 hour train ride to our second destination – Agra. We arrived in the city around 5pm pretty beat, which really only gave us one full day (the following day) in the city of the Taj, before we had to head off on our next stop; Jaipur. 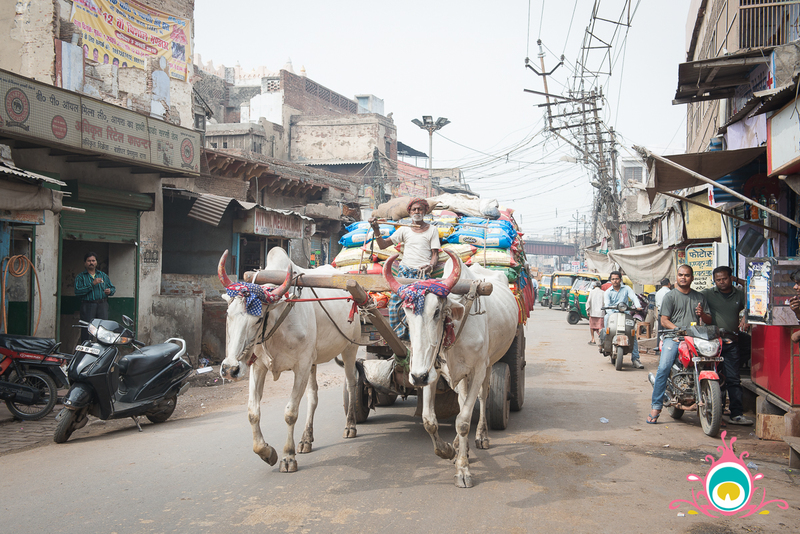 You could say our adventure in India was a little jam packed! I wish I could give you a real in-depth guide to the city, but unfortunately, both me & my travel partner got a sick in Agra so we didn’t venture out near as much as we did in Amritsar. 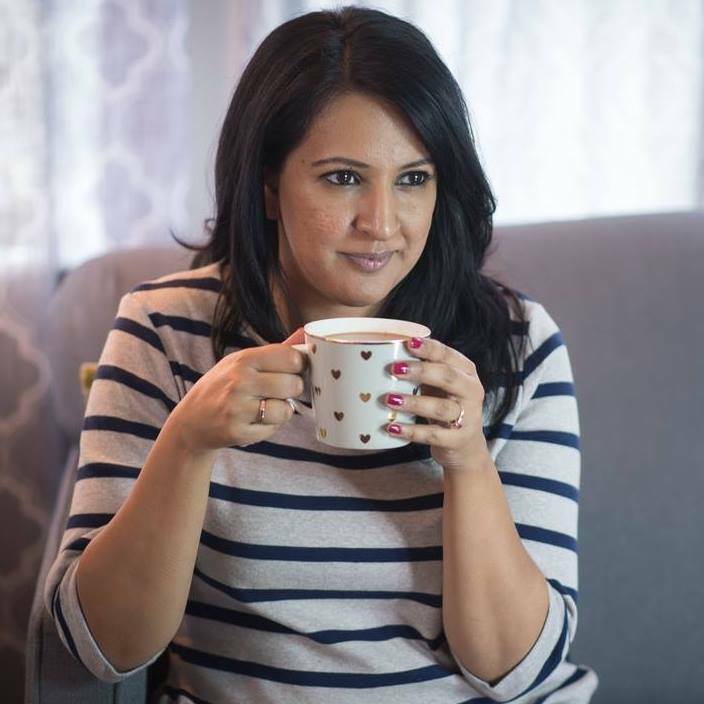 I do have to say, we didn’t get sick from food (that didn’t happen to us at all in India). Our sickness was caused by fatigue, and lack of hydration. 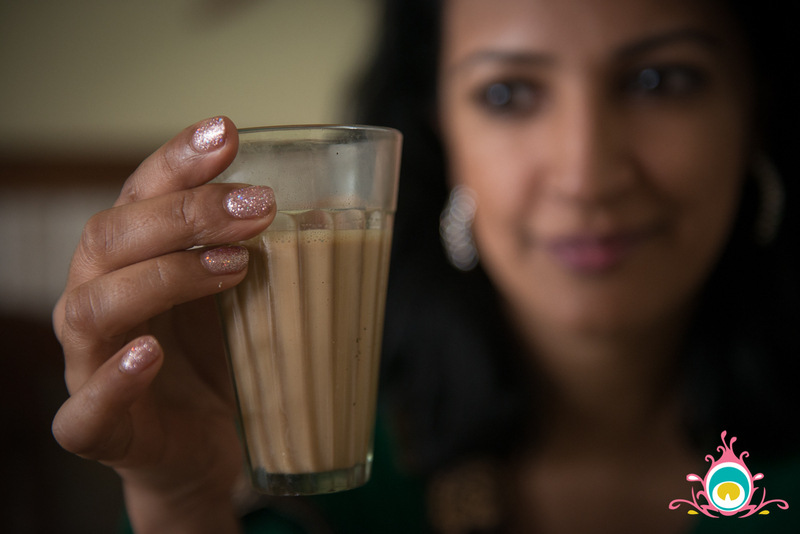 If you are planning a visit to India you have got to keep your water intake up – that was definitely our mistake. 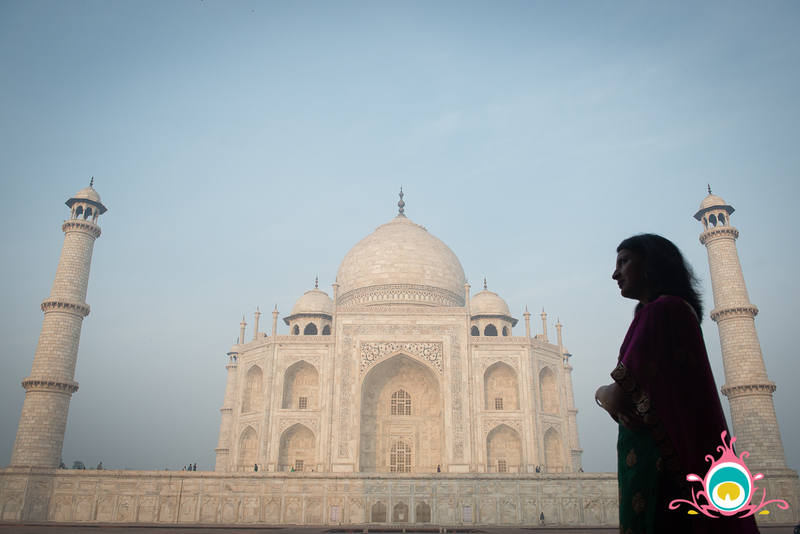 I would say if you really want to take in the beauty of the Taj Mahal. 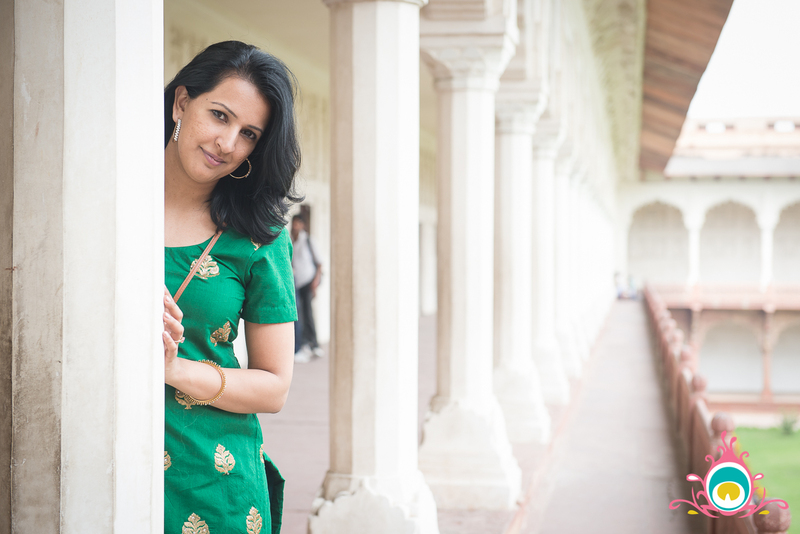 wander the grounds, and take your time looking at the adjoining guest house and Mosque buildings (which flank the Taj Mahal on either side and are stunning), give yourself a good 2-3 hours to enjoy the grounds. Just outside the gates there is a small market where you can buy handicrafts, souvenirs, jewellery etc. 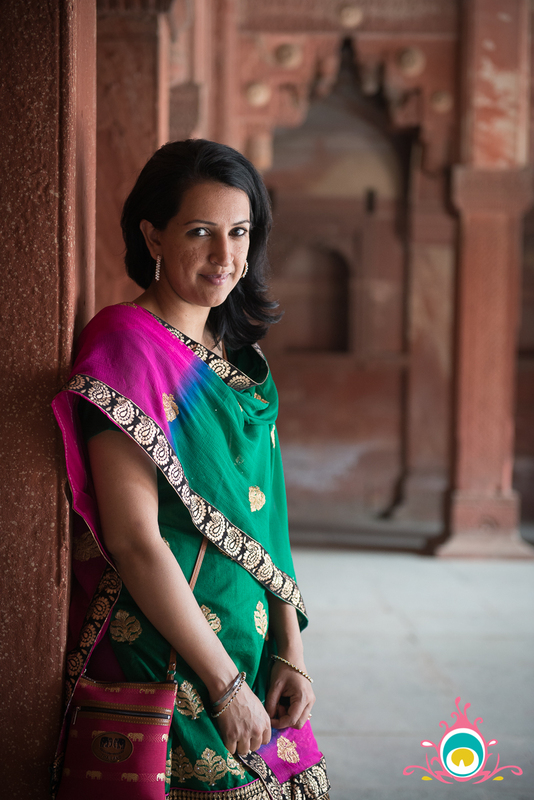 It was just opening up when we were leaving the Taj around 9:30am, but I still managed to spot a gorgeous set of pearl and stone bangles (you can spot them in this post), which I picked up as my official Taj Mahal souvenir! Agra’s Red Fort is also a UNESCO World Heritage site, and considered one of the best examples of Mughal architecture in India. 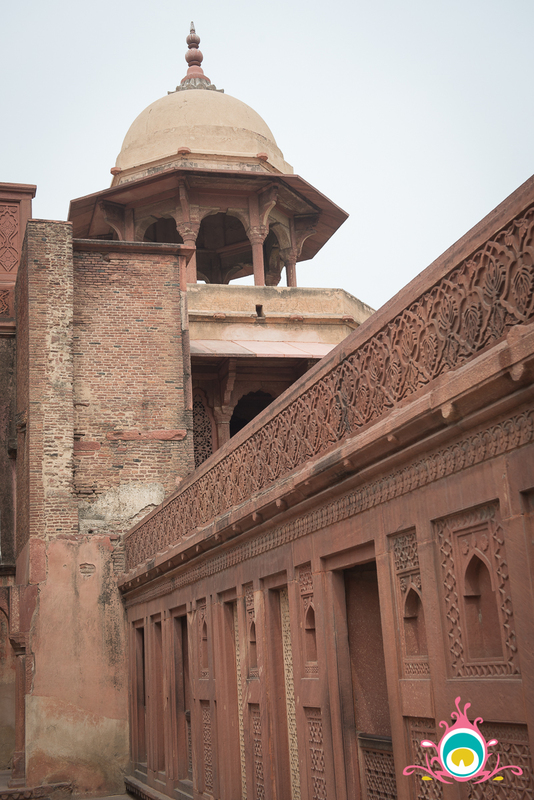 It’s made up of several different mahals (palaces) and diwan (public and private halls) – the Khas Mahal, Shish Mahal, Diwane-e-aam, Diwaan-e-khas, etc. You can hire a tour guide to walk you through each palace (I believe there are 16 in total) explaining all the details, or you can rent an audio guide to wear for a self-guided tour, or, you can do what we did and just wander. 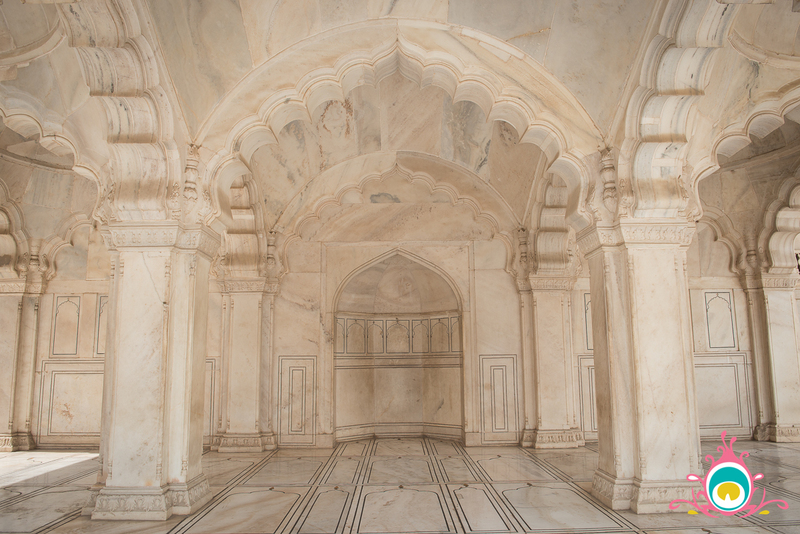 Our favourite spot in the Agra Fort was the Pearl Mosque. This mosque is located in the area of the fort where where Shah Jahan was put on house arrest by his son before his death. 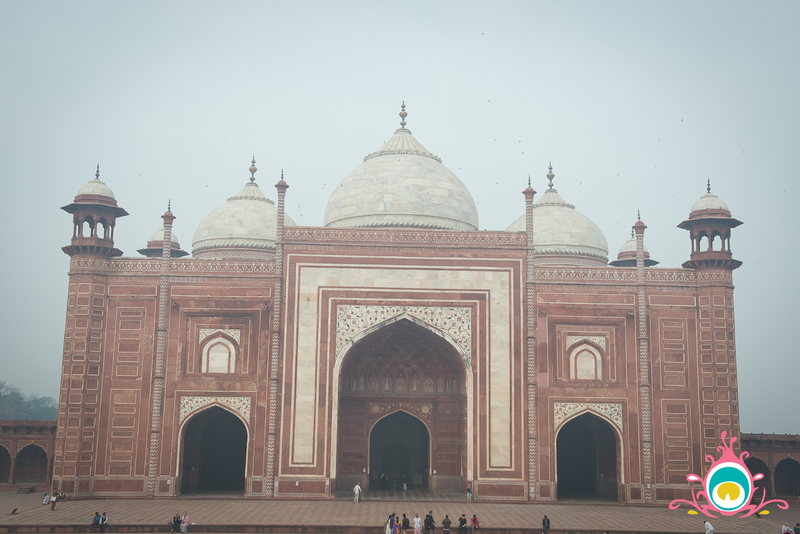 The mosque is built of pure marble and was one of the most peaceful places I visited in all of India. You can almost feel the peace and love vibrating in that room. 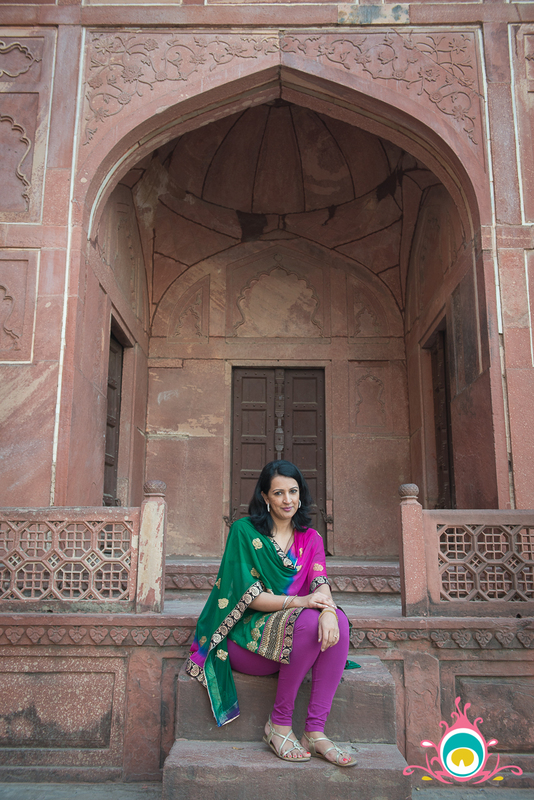 Side note – There are two mosques inside the Agra Fort, however, they are open to visitors of any religion. You will be asked to remove your shoes, but you are welcome to visit and take photographs. I have to confess, we ventured over to Sikandra Bazaar which is close to the Agra Fort to visit the famous Ram Babu Parathe Wale. We had heard so much about this place that it was on our must eat in India list – but we were a little underwhelmed. Every one on tripadvisor seems to love it, so maybe we visited on an off day? Or maybe it was a combination of the heat, and the fact that we just left Amritsar the holy grail of aloo wale parenthe the day before? 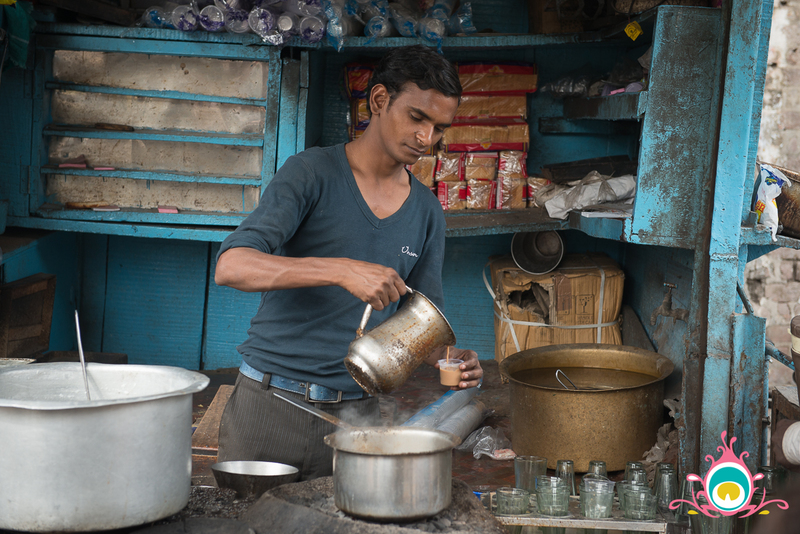 We of course couldn’t leave the bazaar without wandering around a little, and drinking the most amazing cup of chai! This is not a bazaar where you get high-end shopping (or high-end anything), but it is one of those places where you get a glimpse of real India. Sadar Bazaar was recommended to us by a super sweet Paji (brother-type) we met on our train ride from Amritsar to Agra. It has a little gali (alleyway) where you can get a variety of street foods, but in a clean environment. Sadly, it was dark when we visited and I don’t have any pics, but I highly recommend it! I had my first taste of momos there, and you can get gol gappas, chat, noodles, and even noodle burgers. If you are a foodie definitely worth a visit. 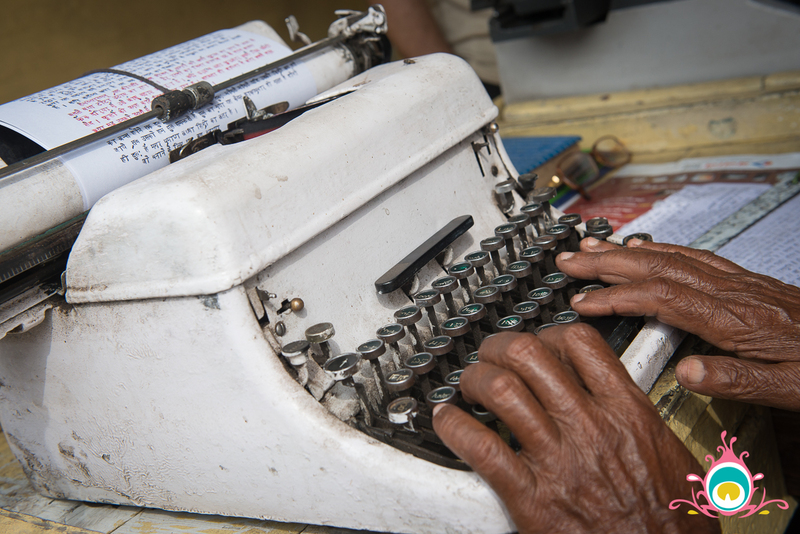 I stopped in a book store in Sadar Bazaar and grabbed a few cookbooks as well, and the market looked like it would be a great place to shop during the day. The evening we arrived in Agra we did something we did nowhere else in India – we ate at a ‘fancy’ restaurant, with A/C and everything! The place is called Pinch of Spice and was surprisingly yummy. If you need a break from the heat and want to sit down somewhere and enjoy a meal without horns honking and dust flying, this is the place to go in Agra. 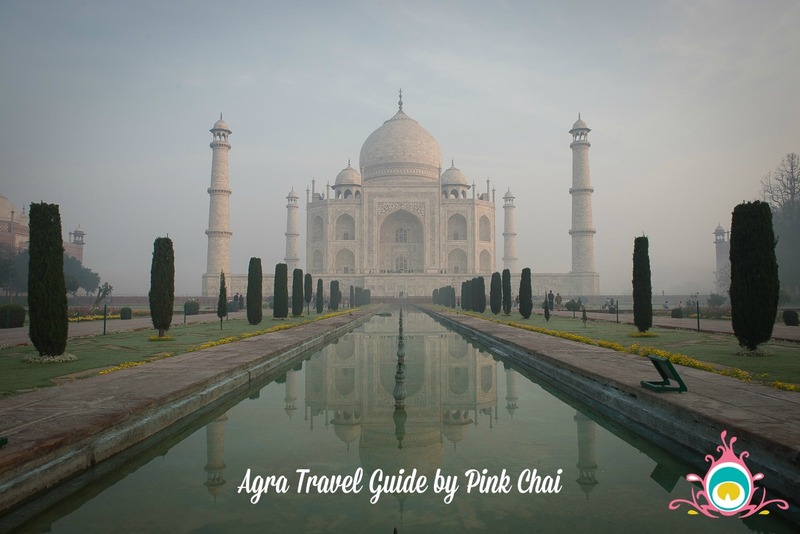 As I’m wrapping this post up I realize – wow, we did a lot in Agra even though it was the one place I felt like we didn’t do much! These photos are beautiful! What an amazing trip. Thank you for sharing! Great write up and wonderful photos. Thank you for sharing your experiance.